ABIA is one of Australia’s top Wedding sites, great for new couples to get ideas and search for suppliers. They are also now running their ‘Bride to Be Competition’ where you can register and be in the running to win a part of over $150000 worth of prizes! 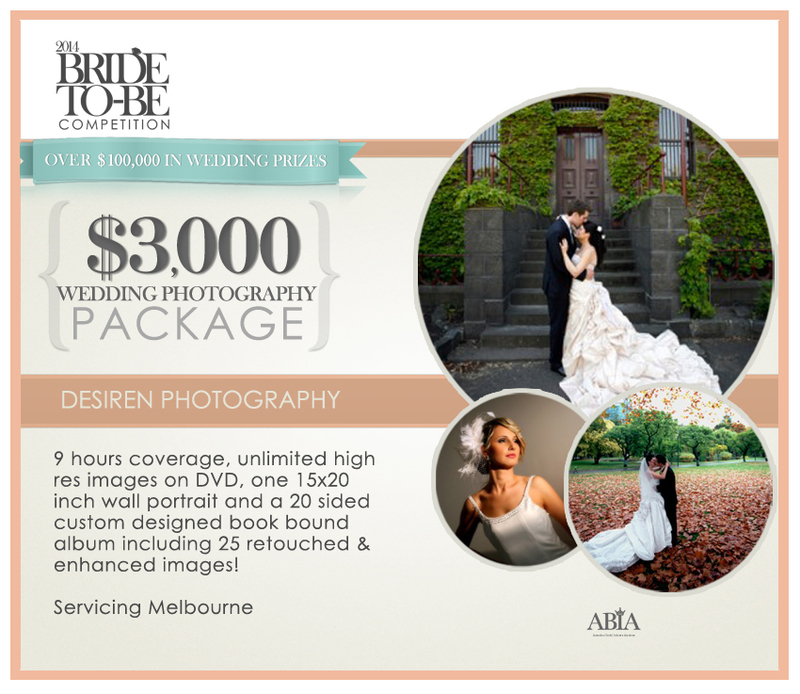 We have been successful in winning a spot as one of those sponsored suppliers, where one lucky couple can win a $3000 Wedding Coverage + Album Package!